IMTA2290.com is an online service provided by ExpressTruckTax, a division of Span Enterprises and an IRS authorized e-file provider. Owners of 25 or more vehicles with registered gross weights of 55,000 pounds or more are required to do mandatory e-filing. Choose IMTA2290 for the simplest and most hassle-free e-filing. 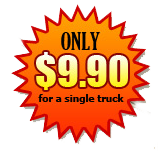 Address: Iowa Motor Truck Association, 717 East Court Ave, Des Moines, IA 50309.